Is there an easier or happier plant in the world? Is there a more rewarding plant to grow, even for the youngest of us? I don’t think so! 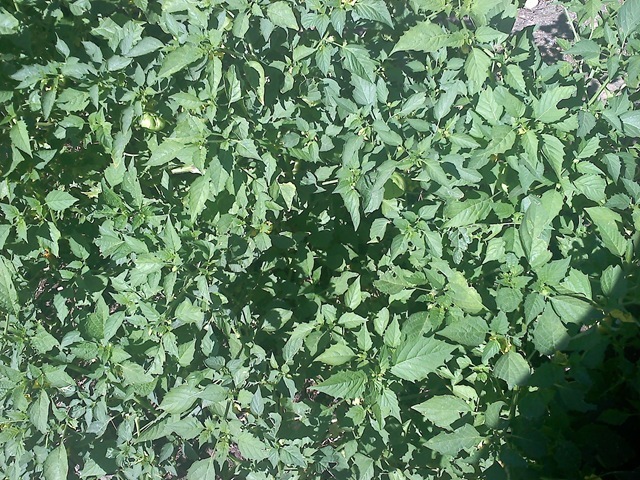 Tomatillo plants are very rewarding to grow. They get big fast, they produce very well and in our desert heat they keep producing long after the other plants have succumbed to the dog days of summer. Tomatillos have wonderful yellow blossoms that look very festive in your garden, then they produce a pod. Don’t be confused like we were, the pods grow first and then the fruit grows to fill the pods. When the pods feel fairly full keep an eye on the fruit, it should be picked after the pod splits. My family loves as we call it green sauce. I guess it’s also called a green salsa or chili verde. The only way to make this in any quantity is to grow your own tomatillos. 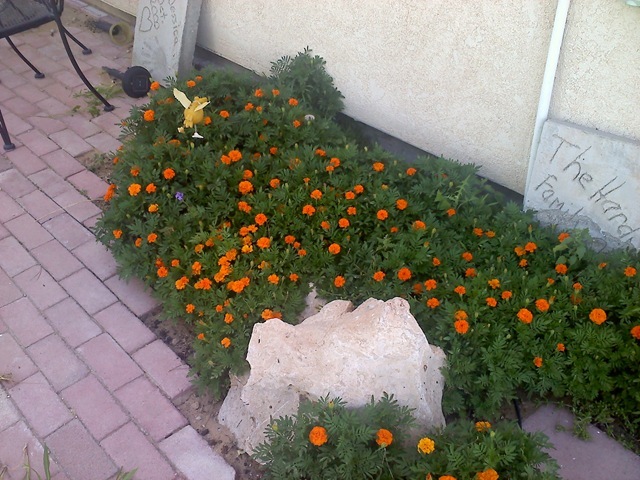 Now luckily these plants seem to grow very well and quite easily here in our desert. The first year we tried growing them it was pure experiment. We had never grown them before and had no idea what we were doing. We bought some plants and then sat back to watch. We thought we had done something terribly wrong when pods formed but were empty of fruit. So google here we come! As I’ve said before our extended family get together every Sunday night for dinner. It’s a nice tradition and it allows us all to catch up and enjoy one anothers company for a couple hours. But sometimes things don’t go according to plan. When your kids start leaving home you slowly begin to notice the small changes. There are fewer clothes to wash, more leftovers in the fridge, less noise. But when the last one leaves you really begin to notice things, things that no one tells you about. I had an old memory come to me the other day. We had gone to the lake as a family on a cool Sunday afternoon. We often went there after church with our arms full of stale bread or popcorn to feed the fish and the ducks. The lake has huge fish that swarm the docks and open wide their mouths as they leap for your offerings. As a Latter Day Saint I know that we are a covenant people. One of the things we covenant is to sacrifice all that we have, all that we are, all that we have been blessed with if God requires it of us. We take this covenant seriously, we believe that we are equal to it, we hope we are.